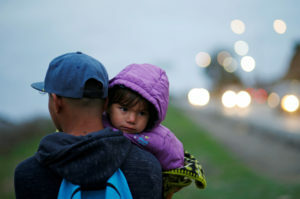 The Trump administration announced Thursday that some Central Americans seeking asylum at the southern border will be forced to remain in Mexico while their cases are being processed, a significant policy change that critics say could endanger migrants trying to reach the U.S. Under the new policy, called the “Migrant Protection Protocols,” the Department of Homeland Security said that migrants seeking asylum and attempting to enter the country will be given a court date in the U.S. and returned to Mexico until their hearing. 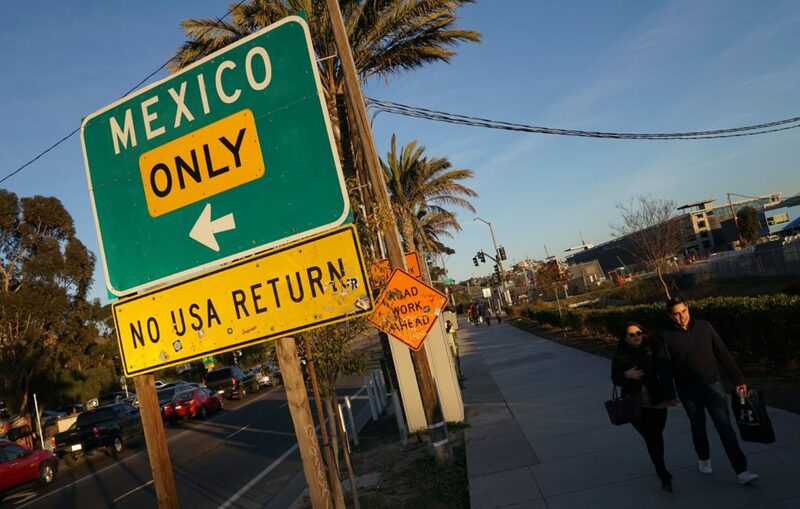 The policy will be introduced Saturday at the San Ysidro border crossing between San Diego and Tijuana, Mexico, widely considered to be the busiest port of entry in the nation. It’s unclear if the Department of Homeland Security will eventually widen the policy to other ports of entry along the U.S.-Mexico border. Discussions with two sources familiar with government planning told the PBS NewsHour that the San Ysidro port is planning on processing about 20 asylum cases a day for the pilot program. A single case could include a whole family. But critics said the policy was the latest action in a string of moves by the Trump administration to make it harder for potential asylum seekers to enter and remain in the United States while their claims are decided in court. Jennifer Nagda, the policy director of the Young Center, an advocacy group for immigrant children, said the policy was an “unlawful step” that would threaten the lives individuals and families, including children accompanied by their parents, who are seeking protection in the U.S.
“Under this new policy, children will remain in precarious, unstable situations, vulnerable to violence, kidnapping and exploitation. Nothing about this policy is protective of migrant children,” Nagda said in a statement. Critics have also questioned whether the new policy is legal, noting that prior actions on asylum by the Trump administration have been halted in court. The announcement also raised questions about how the policy would be implemented, including exactly how the Mexican government intends to help migrants while they wait in Mexico. Here’s a closer look at the policy. Migrants who enter the San Ysidro port without papers will have to wait in Mexico while their asylum claims are processed in U.S. immigration courts. In accordance with U.S. and international law, migrants who arrive at the border — at or in between legal ports of entry — can claim asylum. But instead of going through a “credible fear” interview, (the first step in the process, where government officials determine if a migrant has a credible reason to claim asylum), they will be given a “notice to appear” before a U.S. immigration judge within 45 days. Migrants will then be returned to Mexico until their hearing date. “They will receive all appropriate humanitarian protections for the duration of their stay” in Mexico, the fact sheet said. But it did not offer further details. When the court date arrives, migrants will be allowed to enter the U.S. to attend their hearings. They will then be returned to Mexico to wait for a follow-up hearing. The policy does not apply to unaccompanied minors and Mexicans seeking asylum in the U.S. The agency also said individuals from “vulnerable populations” may be excluded on a case-by-case basis. The policy amounts to a major reversal in how the U.S. treats asylum seekers. For decades, asylum seekers were allowed to legally remain in the U.S. while awaiting their court hearings. But President Donald Trump, Nielsen and other senior administration officials have argued that the asylum system was being exploited and needed to change. The Trump administration has repeatedly referred to a security “crisis” at the border, often relying on misleading and false numbers to state their case. Thousands of Central American migrants, traveling as part of a caravan, arrived in Tijuana, Mexico, in November and tried to seek asylum at the San Ysidro port. Trump often pointed to the caravan during the run-up to the midterm election to falsely claim that there was an “invasion” at the border. Trump continued citing a security “crisis” at the border during the government shutdown, and used the claim to demand that Democrats agree to spend $5.7 billion on a border wall. Trump announced a deal to end the shutdown Friday that did not include border wall funding. It’s not immediately clear whether the Trump administration has the legal authority to carry out the change. In its fact sheet, the Department of Homeland Security cited the “contiguous territories” provision in the Immigration and Nationality Act as grounds for enacting the policy. The provision allows the U.S. — in limited circumstances — to send people seeking entry into the country back to a “contiguous territory” while their cases are processed in immigration courts. By that definition, the options appear to be Canada or Mexico. It’s a “little known” provision that has largely been untested by the courts, said Geoffrey Hoffman, the director of the Immigration Clinic at the University of Houston Law Center. Hoffman said the provision is somewhat difficult to parse because the language in the statue is confusing. But a close read suggests that it’s not supposed to apply to asylum seekers, Hoffman said. There’s “no question” that the administration’s attempt to apply the provision to asylum seekers “would be a direct violation of not only the statute, but of due process and the Constitution,” Hoffman said. The administration’s pilot program will likely prompt legal action from immigration advocates. It’s a “very clear sign, once again, of the Trump administration wanting to limit, as much as possible, access to protection for asylum seekers coming to [the U.S.],” said Maureen Meyer, the director for Mexico and migrant rights at the group Washington Office on Latin America. What is Mexico’s role in this new plan? U.S. and Mexican officials worked on details of the policy for weeks, culminating in the initial announcement of the plan last month. Official statements from the Mexican government have framed the policy as a unilateral decision by the U.S., while saying that it would help the asylum seekers as a humanitarian gesture. But there have been few details on what Mexico’s help would look like, including how the government would bolster migrants’ access to legal services and support systems to help them build their asylum cases. The policy has effectively put the “burden onto Mexico for supporting and housing asylum seekers for an indefinite, undetermined period of time,” Meyer said. The U.S. has a backlog of more than 800,000 asylum cases. That means it could take months or years to go through the immigration courts. Migrants are frequently targeted for robbery, extortion and other types of abuses in Mexico, she added. Drug cartels and smugglers operate in these border towns as well. Adding more and more people to these violent areas could make crime worse and “put these individuals who are already fleeing their home country at more risk,” Meyer said. Days before the Department of Homeland Security announced the policy last month, Mexican police said two Honduran teenagers traveling with a migrant caravan to Tijuana were killed in an attempted robbery. The NewsHour’s Amna Nawaz contributed reporting.